The goal with every NetWell soundproofing project is to control both your noise and your costs. Keeping high end acoustical contractors off your project can cut your costs in half. What we tell our clients is that if you have the skills to hang a picture on a wall, you have the skill sets you need to easily self install your new sound panel system. Tens of thousands of satisfied NetWell clients who all came before you, have all successfully done just that. Building maintenance staff, volunteers or hiring a local low cost general trade contractor, any of these options offer substantial savings to your cost. 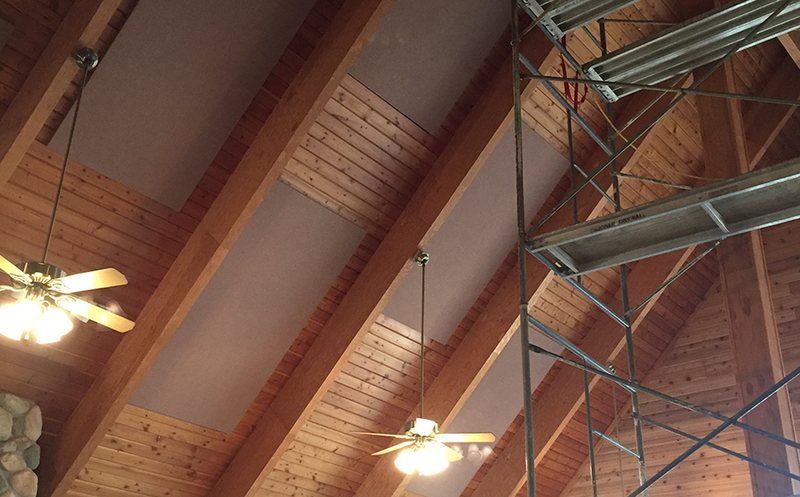 Installing DIY acoustic panels is a great cost saving option for your soundproofing needs. 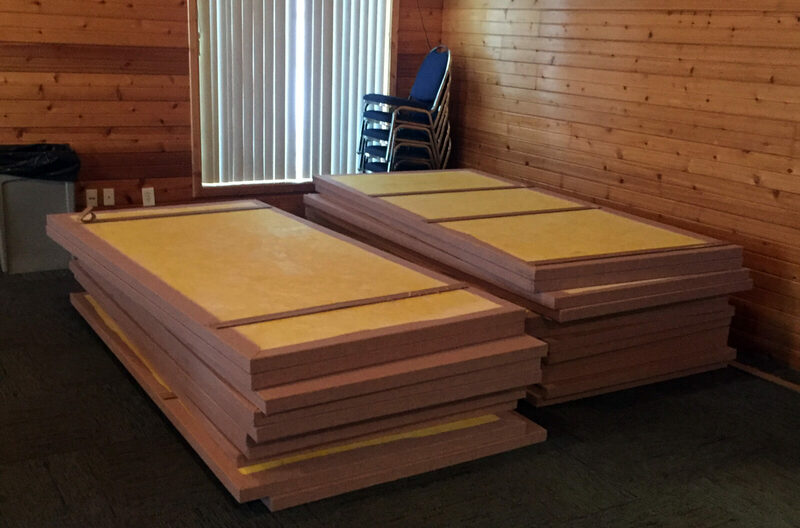 In preparation for your DIY acoustic panel installation, your first order of business is to carefully inspect the sound panels that were delivered to your project site. NetWell is not held responsible for any damage to a sound panel in transit to a client. If any panel damage occurs, the freight company will need to reimburse you, but that only happens if you sign for your delivery as damaged. Every 1 in 100 orders might have an issue. It is rare, but it does happen, so please be diligent and inspect your sound panels before the driver leaves. 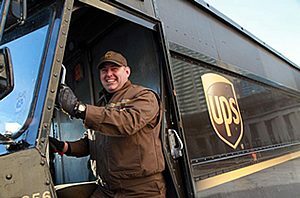 When your order arrives, please note that the driver will deliver your panels to your doorstep on a pallet, but he will not move the pallet indoors. Have 1-2 volunteers meet the driver, accept the pallet, inspect the order, break the box open, and carry the panels into your space. The acoustic panel installation guide listed on our website only gives instructions for our cloth-wrapped sound panels. 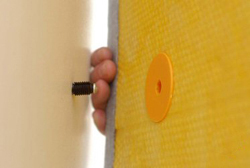 If you have a sound barrier blanket application or an acoustic sound baffle project, simply free-hang these soundproofing products via the grommets that are placed in the product. For questions related to the installation of either of these soundproofing treatments, call our help desk at 1-800-638-9355. 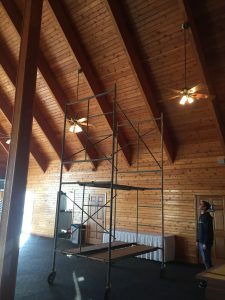 During the course of the 4 weeks or so that it takes to deliver your sound panels, build a game plan for the completion of your installation. Be sure you have selected the appropriate clip system to mount your panels (see below), and that you have the appropriate support tools like scaffolding or a boom lift for upper wall or ceiling-mounted installations. If you are hosting an event, and need your acoustic panels delivered by a certain date, please notify your sound consultant when placing your order. The layout of your panels is more a cosmetic decision compared to an acoustic decision. As long as NetWell delivers the right amount of acoustic panels to your project site, you’ll get the results you’re looking for. Work to evenly space the soundproofing panels around the expanse of your room, and mount them to the wall or ceiling in even sight lines. Be sure to work with your sound consultant at NetWell to confirm that the right clip system is shipped with your order. View your sound panel clip options below, and contact NetWell for any related questions. There are a variety of clip systems available for you to complete the installation of your sound panels. Be sure to work with your NetWell sound consultant to confirm the appropriate clip system is selected. The chosen clip system will ship with your order. Again, be sure to inspect the delivery of your sound panels and confirm that the box of clips is included. Our most popular method for mounting is super easy to use and ideal for mounting on drywall or wooden surfaces. Rotofast Clips should be anchored randomly onto the backside of each sound panel. 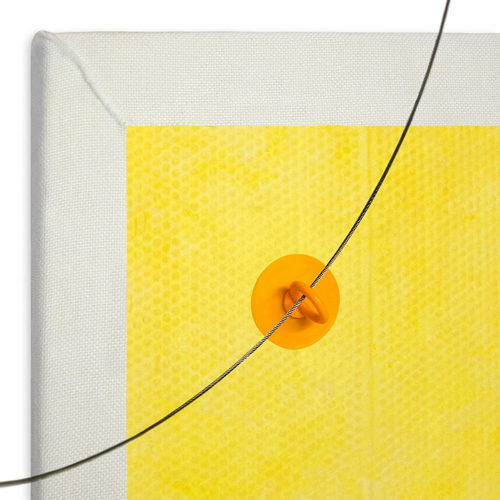 The panel is then pressed against your surface to “mark” where the mating portion of the clip is to be installed. It’s glueless, portable, and simple. For concrete blocks or brick walls, we upgrade the method to a set of mechanical clips that are anchored to the backside of the panels prior to shipment. 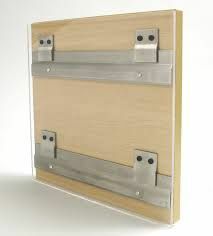 Included in your order is a corresponding set of wall bars that are anchored to your surface. The panels then simply snap into place. It’s glueless, portable, and simple. This is the easiest of all the soundproofing installations if there’s no intention to ever move the panels. Simply anchor the clips to the wall, apply adhesive to the backside of the panel, and press the panels to the wall. As the adhesive dries, the teeth of the clips will sink into the back of the acoustic panel. 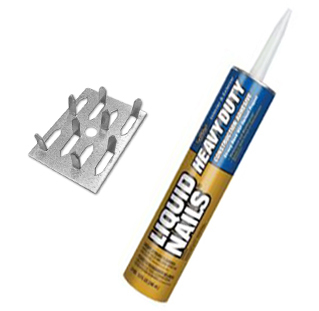 This is for drywall or wooden surfaces only. Some clients opt to “float” their sound panels off the ceiling as a “cloud.” For this method, we anchor the eye bolts to the backside of your sound panels prior to shipment. When you’re ready for the installation, simply thread your own wire through the eye bolts and float the sound panels off your ceiling as you wish. The distance between the sound panels and ceiling makes no difference for sound absorption. If you have additional questions our DIY acoustic panels or soundproofing installations, please call our help desk at 1-800-638-9355. We look forward to working with you and delivering the results you are seeking. Browse our sound panel systems to find out which installation clip option will work for you.